It's a Rundown…It's a Poll…No, it's the List of the Day! The screaming fans are already lining up at Hall H to see us… I’m scared. Hold me. Handicapped superheroes aren’t really as rare as you might think. Lots of characters only get their powers in the first place after suffering through some kind of freak accident. Like Matt Murdock being blinded by radioactive waste, but also attaining super-sonar! And a staggering lack of basic fashion sense! 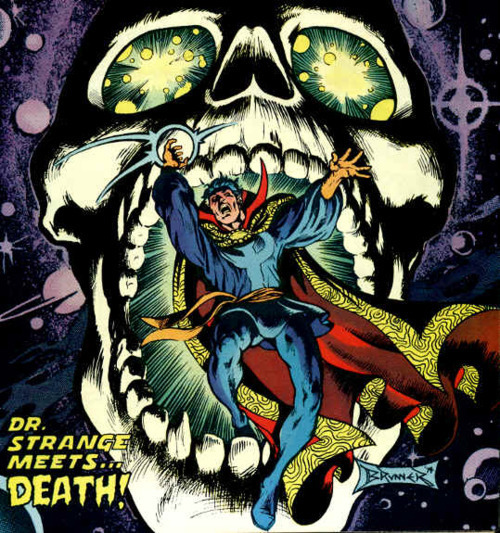 Or consider the case of Dr. Stephen Strange, a neurosurgeon whose hands are damaged in a car accident, but who then gets invited to learn all the secrets of the mystic arts. Drive safe, kids, or you may end up flying through space leaping out of psychedelic skulls. Wait, that actually sounds not so bad.